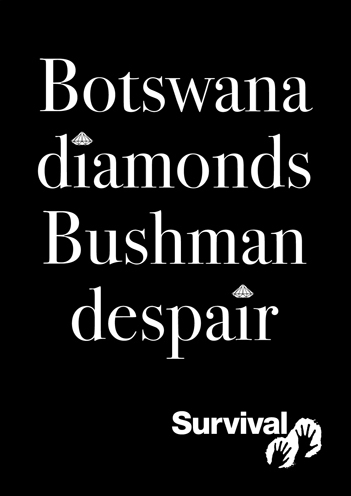 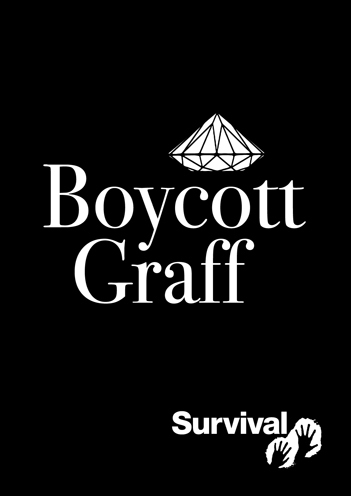 Branding for a Survival International campaign to boycott Graff diamonds. 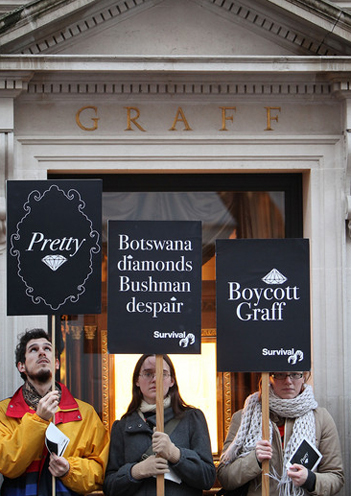 A valentines day card sent to Oscar nominees highlighting the unethical nature of Graff diamonds. 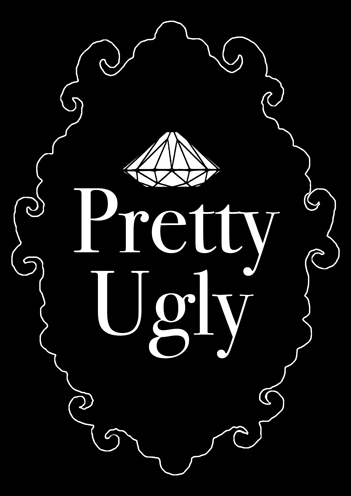 The familiar association of wearing diamonds as ‘pretty’ is quashed when opened. 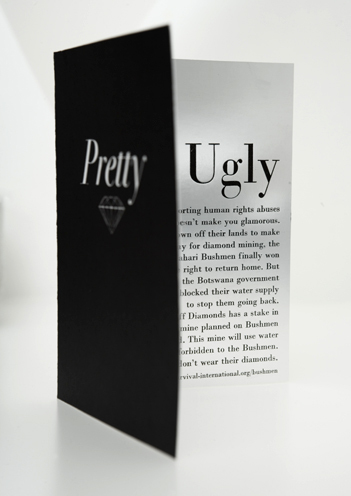 The inner card, printed in letterpress, reveals a mirror stating that the use of Graff diamonds has ugly consequences. 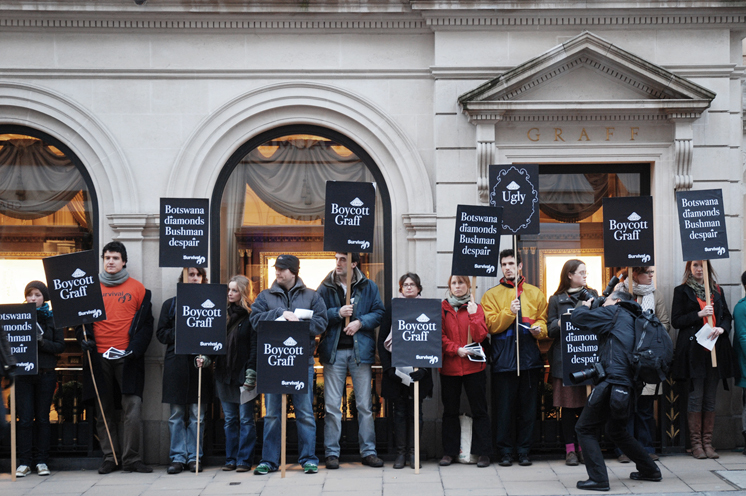 Branding extended for use as protest placards.